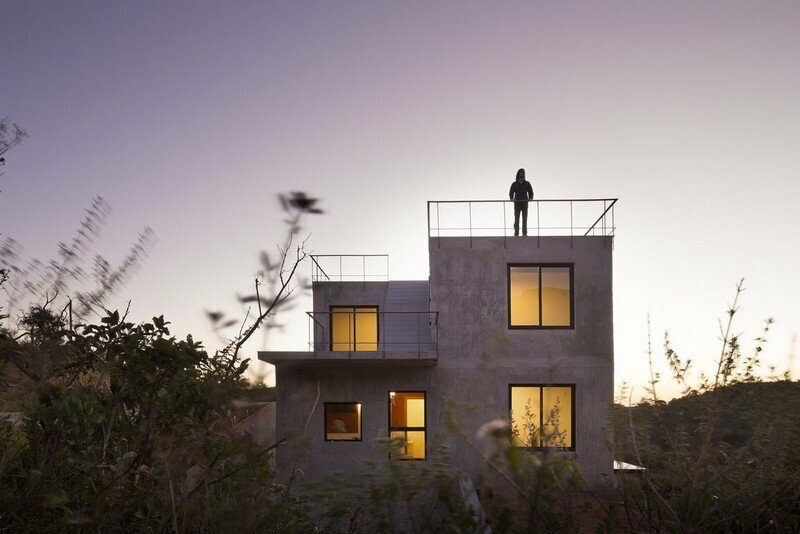 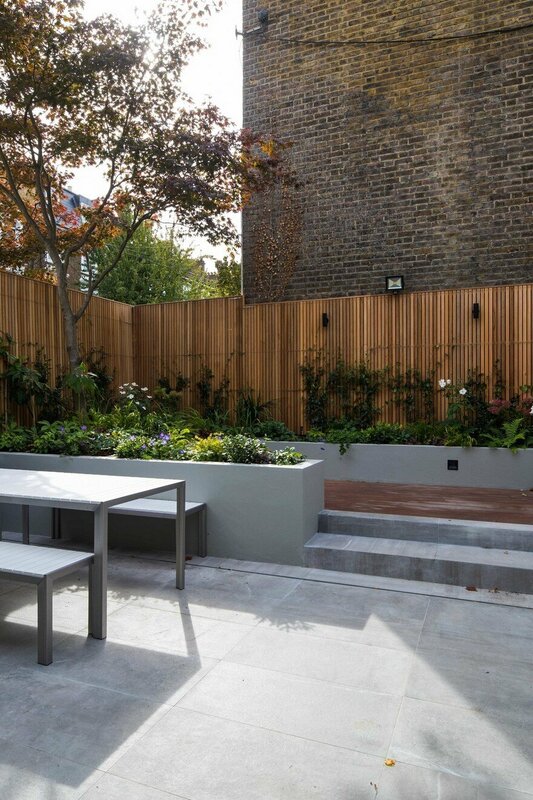 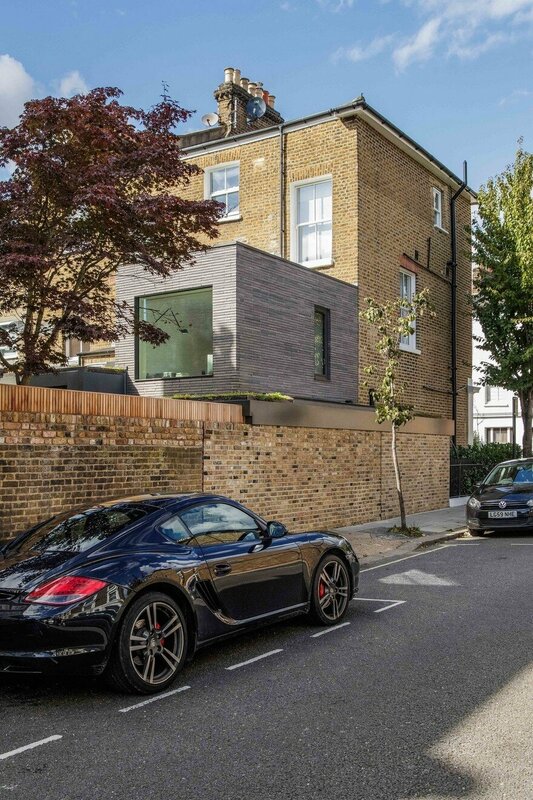 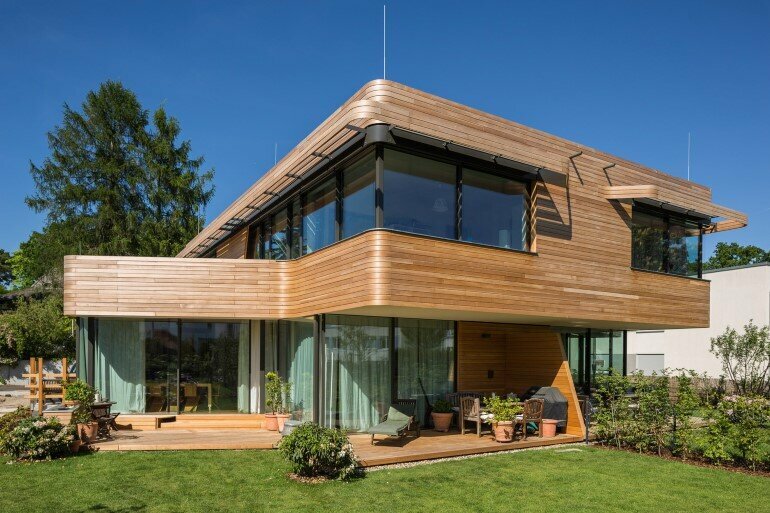 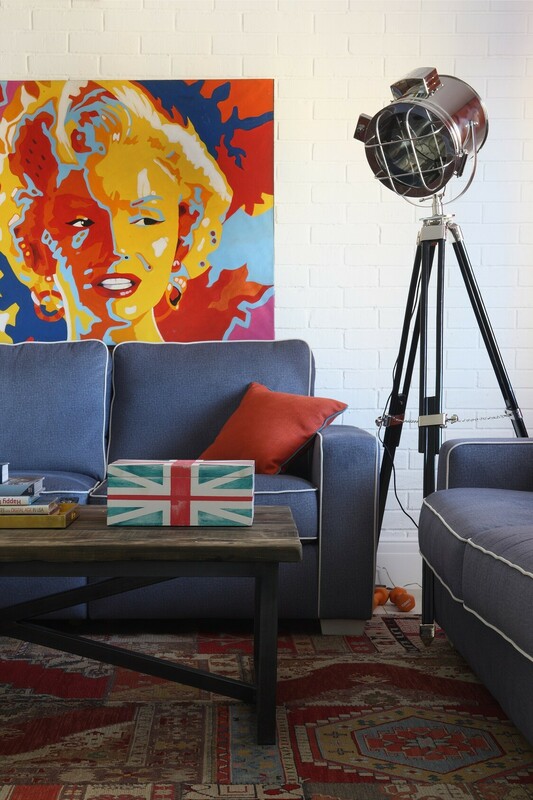 Description by architect: The project has a similar context to our Brackenbury House. 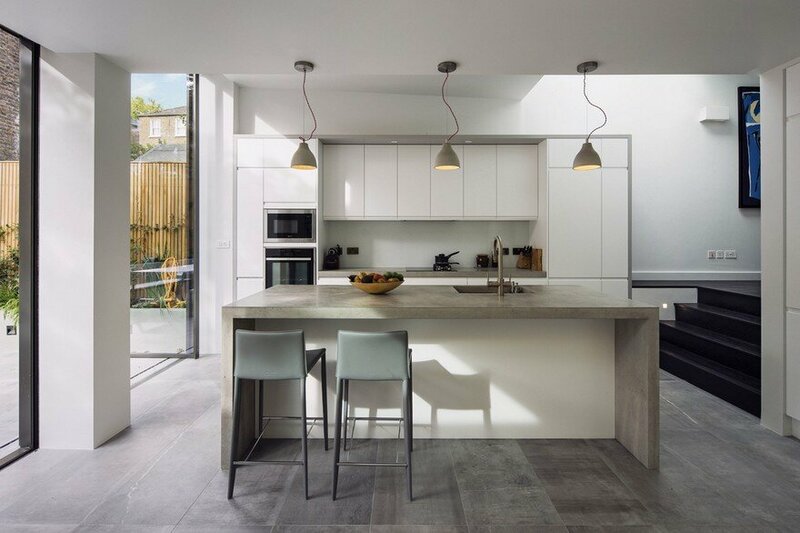 The extension sits on a corner of an end of terrace house and is a substantial remodelling and extension to provide accommodation for a family of four. 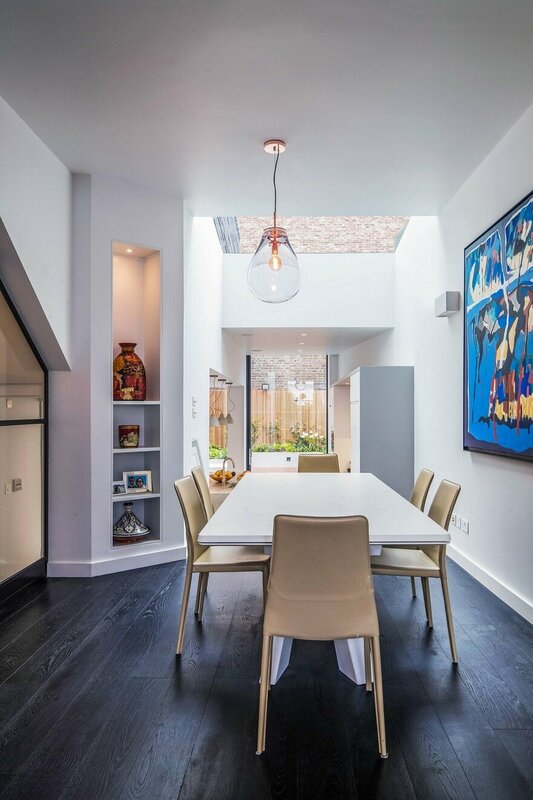 The rear extension to the property is visible from a side road and the design strategy was to construct the extension out of a beautifully hand-crafted dark brick. 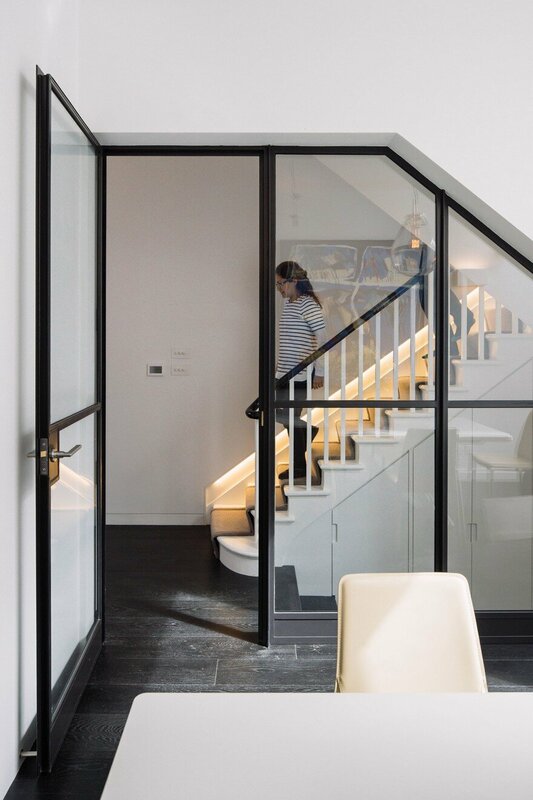 It was critical to ensure that the new modern insertion was subservient to the host Victorian building. 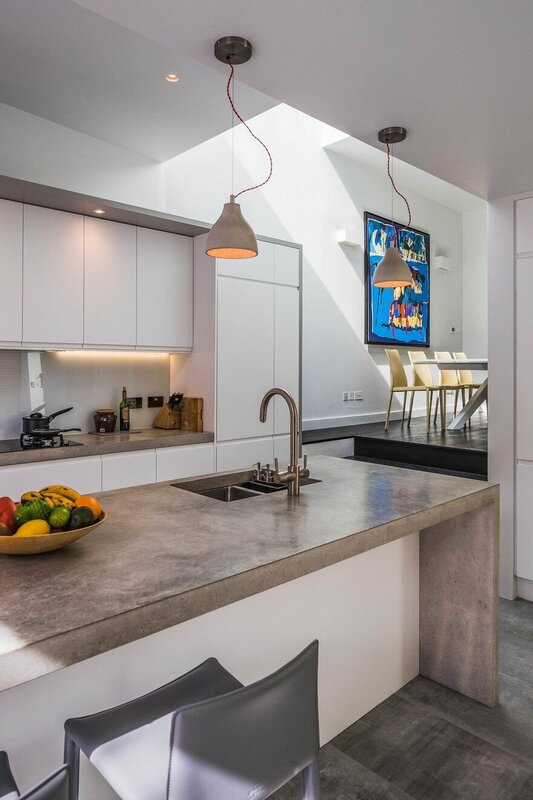 The long, elongated module draws reference to the materiality of the host building but through using a different colour and brick size, brings a different identity to the original Victorian terrace house, allowing it to retain its original character. 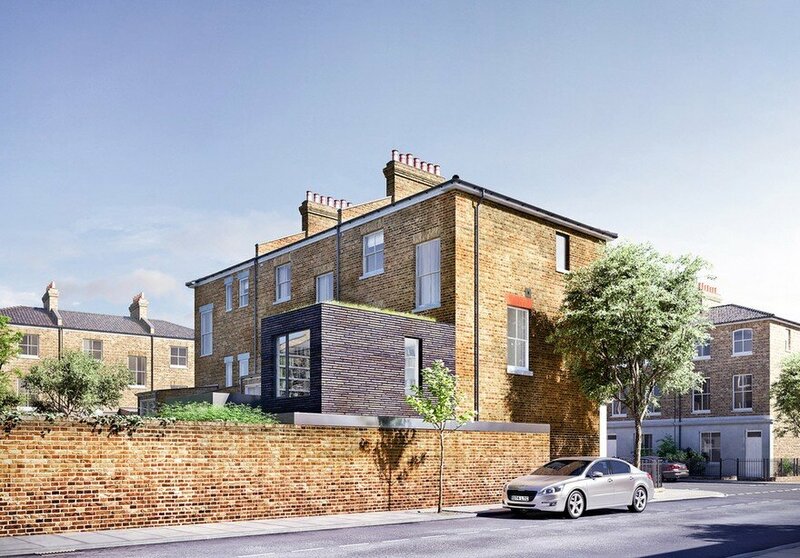 The site’s prominent location, not only as an end terrace house but also within a Conservation Area, meant that the composition and material treatment of the new extension would need to respond particularly sensitively to its context and surrounding area. 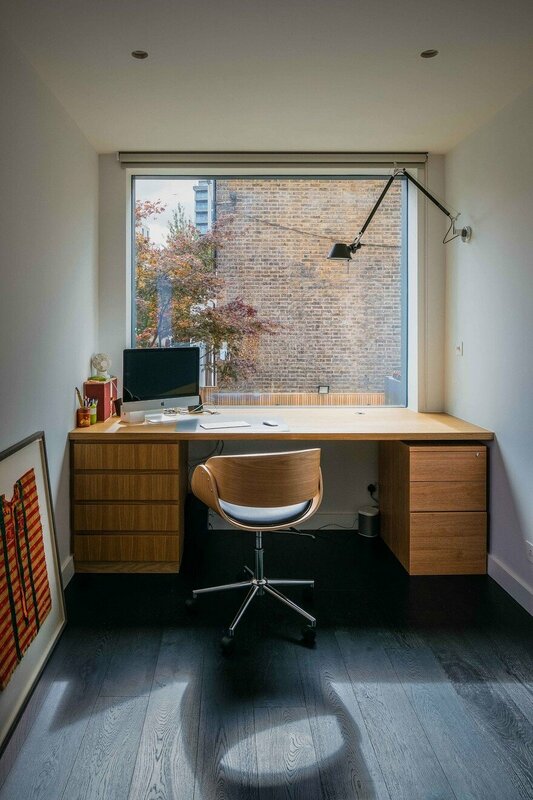 Our client’s brief was to provide a new naturally lit living space for their young family to grow, with a study space for them to work at home. 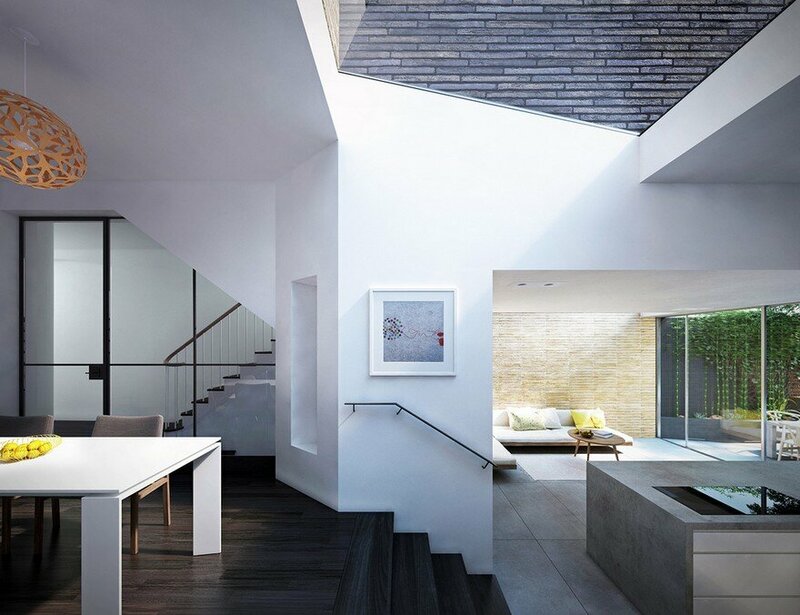 The design of the proposal is centred around simplistic volumes, natural light. 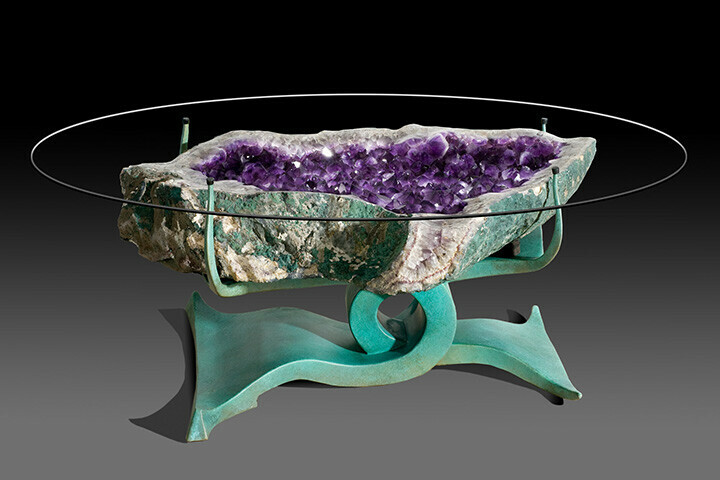 It will be built from high-quality, hand-crafted materials. 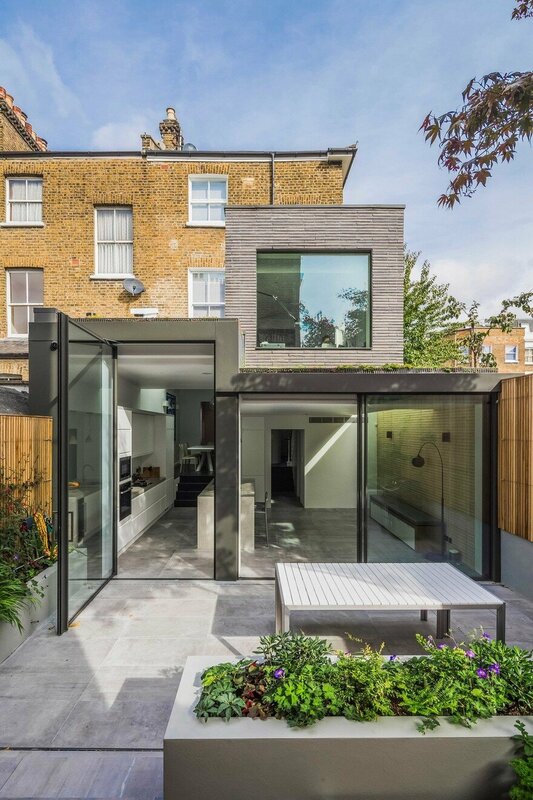 The dark brick colour to the exterior of the first-floor study extension draws reference to the tone and richness of the existing weathered side elevation. 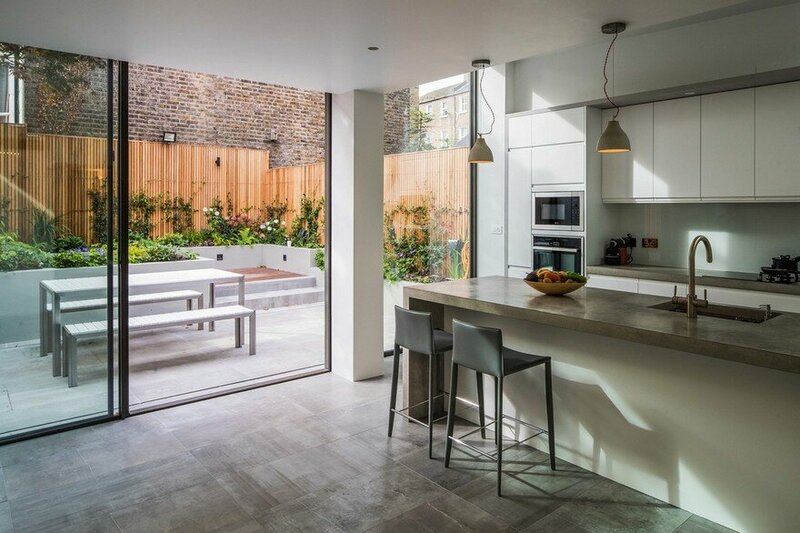 The modern open kitchen/ living space is linked to the rear garden through a large stepped aluminium portal with large glazed openings bringing light in and creating a frameless threshold between inside and outside; linking house and garden together. 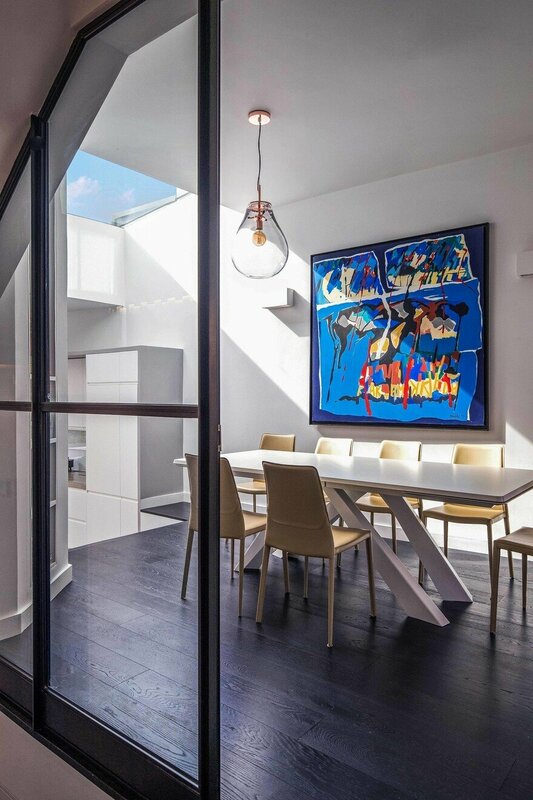 The hand-made elongated brick is continued internally to the flank wall, in stacked bond, drawing the eye up to a large skylight catching the morning light. 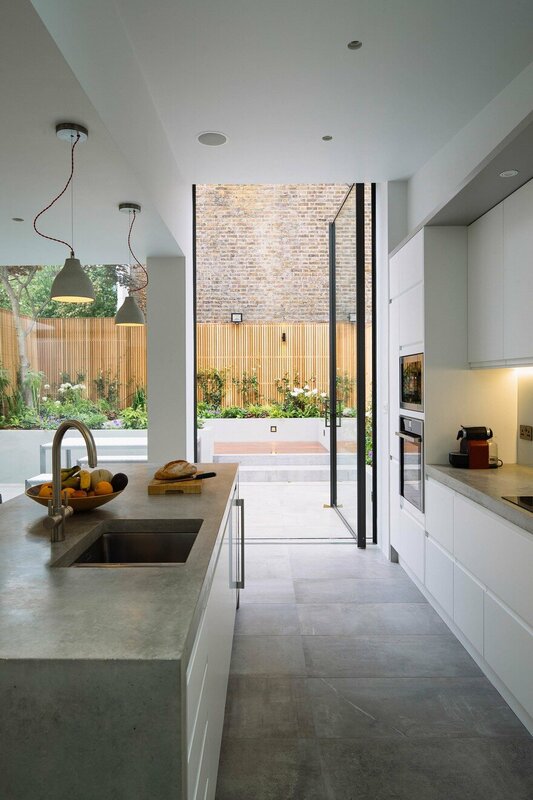 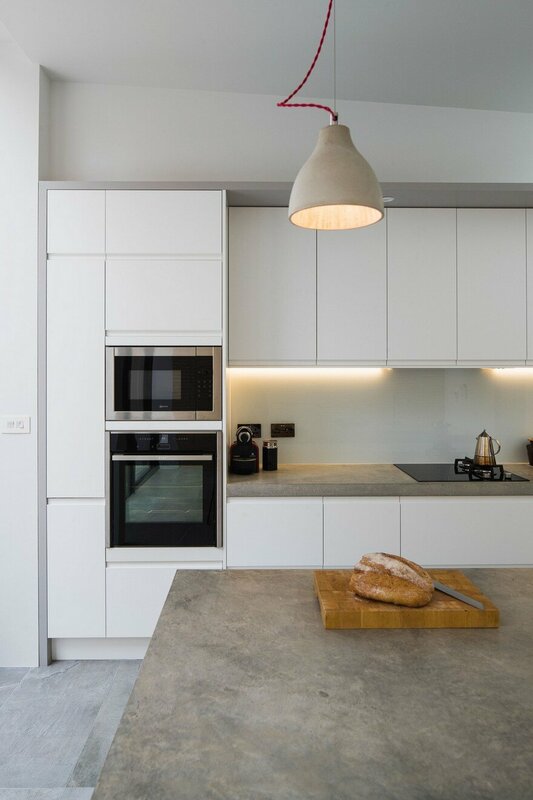 Internally, a material palette of natural stone floor tiles, warm elongated brick, bespoke concrete worktop, rich oak flooring and sharp white walls give a contrast to the original time-worn exterior of the existing building. 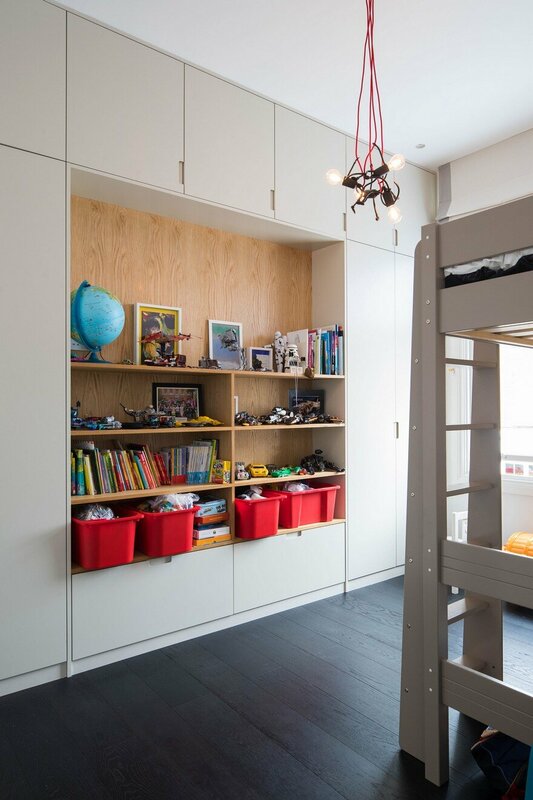 The material contrast from exterior to interior offers a sense of calm to the domestic space within the building, with a reconfiguration of space adding a new cloakroom at ground floor, family bathroom to the first floor, en-suite to the master bedroom, and an additional bedroom on the second floor. 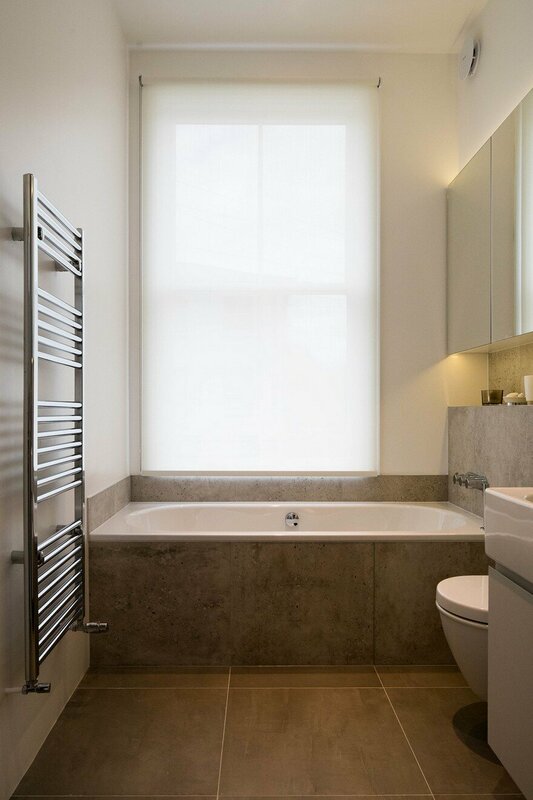 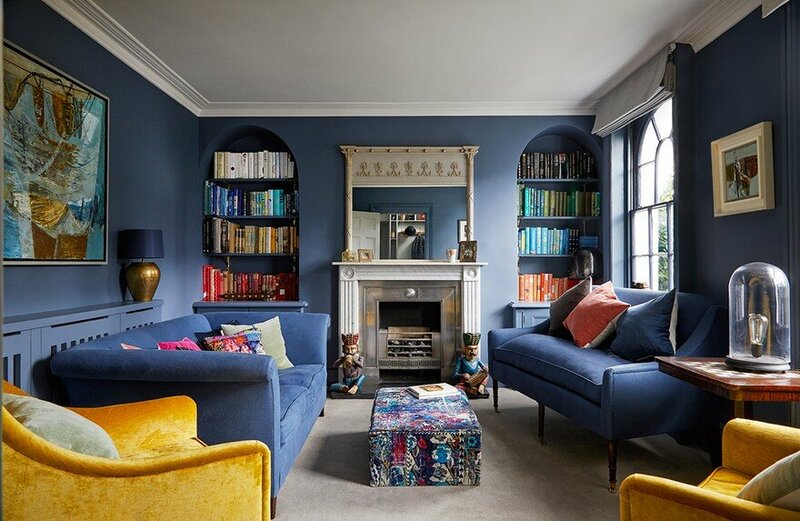 The proportions of the served and servant spaces have an inherit split which is evident within the scale of the larger entertaining and relaxing spaces apposed to the bedrooms and hotel-style en-suite/utility spaces.